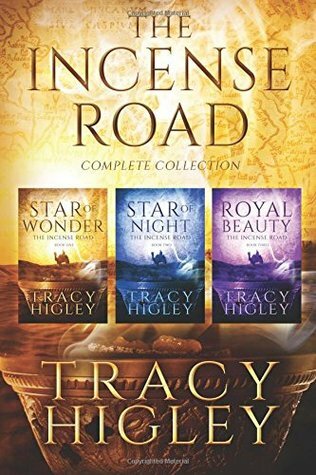 "The Incense Road" is a collection of novellas by Tracy Higley that follows the trek of the magi as they leave their Parthian home and seek the newborn King of the Jews. At first they are a large group of traders, soldiers, and scholars, each with their own motivation for the journey. In the first novella, "Star of Wonder," we meet Misha, son of the main character from Higley's previous book, The Queen's Handmaid. Misha is a first-level mage who is sure he can find shortcuts to get what he wants in life. He heads towards to the ancient country of Judea planning to steal a Jewish artifact called the Nehushtan for the gain of his own family and to keep it from the evil clutches of the sorcerer Zahir. Misha's best friend Reza, a soldier who is also possibly the rightful heir of the Persian throne, is leading the band of guards on who are accompanying the various sects of scholars on the trip. Another first-level mage, Kamillah, is of Egyptian heritage and has captured the interest of Misha, Reza, and Zahir as well. She is seeking freedom, truth, and a way to return home to Egypt. Each of these main characters feels the pressure of the heavens. The star announcing the arrival of a World Savior calls to them in a way they've never felt before. They are aware of a spiritual battle over their journey but they don't know if the heavenly forces fight for them or against them. Misha and Zahir are focused on finding the Nehushtan, while Reza and his soldiers plot to bring Persia out from under Parthia's rule upon their return home. Things become unpredictable when they reach Judea and each must decide where their loyalty lies. Through battle, imprisonment, and the continuous call of the star they will be forced to examine their motives and goals. Who will remain standing to lay their treasures at the feet of Jesus? 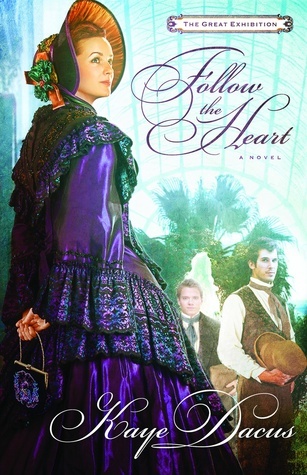 I enjoyed this story, especially the final novella "Royal Beauty." I would recommend reading The Queen's Handmaid before The Incense Road, as it gives rich backstory to the characters and setting. I teared up at the heart-responses of those who met the young Messiah, having their fears stilled and faith affirmed by the One True God's own small Son. This book does deal quite a bit with spiritual warfare so if that makes you uneasy you should probably pass on this one. Otherwise it is a fascinating look into what the magi might have faced on their holy quest. Miranda Wimplegate's family runs a discreet and prestigious auction house in Boston, but when they accidentally auction off the wrong painting they must brave a trip to Missouri to recover it in this second book of the Ozark Mountain Romance Series. Miranda decides to accompany her grandfather on the journey, as his ability to think and reason has been slipping recently, and she's also anxious to avoid Cousin Cornelius and his recent talk of marriage. The Wimplegates have traced the mistakenly sold painting to its destination in Hart County, and when they find out the local auction house is for sale, they purchase it sight unseen and ask that nothing is sold until their arrival. Nothing could have prepared Miranda and Elmer to arrive and find that Hart County's action house doesn't deal in antiques and art, but rather noisy, smelly, dirty livestock. The Ballentine family has managed the livestock auction for years, and Wyatt has been attempting to save up enough money to buy it, although his skirt-chasing brother Isaac has found ways to sabotage his dreams. Now Wyatt is frustrated to have a fragile elderly man and his quietly stubborn and highly cultured granddaughter trying to step in to something they know nothing about. Especially since it's clear they are concealing the real reason they are in Missouri, and that they are subtly searching for something specific. With Elmer's mental troubles causing more problems by the day, mysterious men creeping around the neighborhood, and the distinct lack of the painting they are trying to find, Miranda slowly begins to accept help from the rugged and hardworking Wyatt. But Isaac has told her things about Wyatt that make her uncertain that he is who he presents himself to be. Which brother is trustworthy in this strange backwood country she's found herself in? And where in the world is the missing painting? This book reminded me so much of the work of the favorite author of my childhood, Stephen Bly. The mix-ups in the plot, the relationship between the main characters, the delightful scene-stealing minor characters, and the humor all brought happy associations to my mind. This was one of the most enjoyable books I've read this year and it thoroughly drew me in and captured my senses. 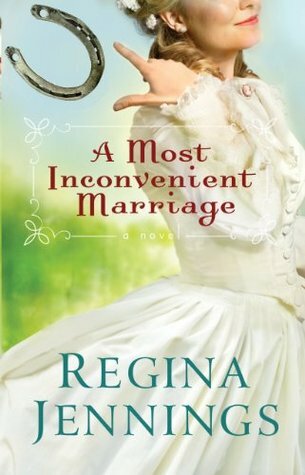 Although it's the second book in a series it works as a stand alone, as it is set 8 years after the first one and only gives a few mentions to the main characters from "A Most Inconvenient Marriage." I'm very much looking forward to the third book in this series! I received my copy of the book from LitFuse Publicity in exchange for this honest review. All opinions are my own. 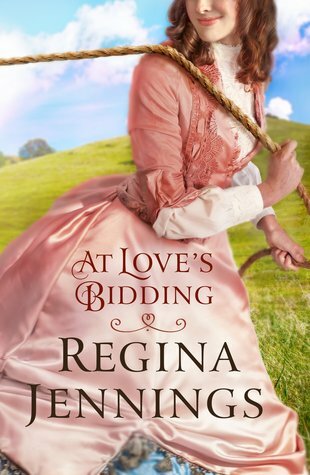 If you would like to read what other people are saying about "At Love's Bidding," click here. 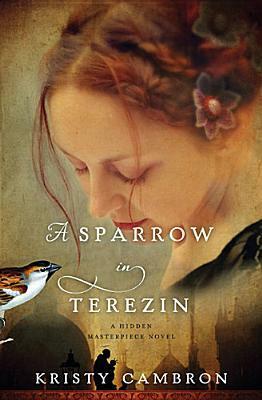 In a plot that may have been more than slightly influenced by real life, author Maren Grant has a crush on the model who portrayed her protagonist on the cover of her last book. 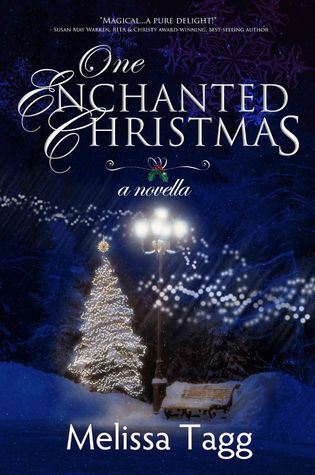 When her agent arranges for her to meet Colin, he and Maren have one magical Christmas date and he invites her to visit his farm in rural Iowa sometime. A whole year passes without hearing from Colin, and now Maren has a serious case of writer's block with her next deadline fast approaching. At the urging of her best friend, Maren decides to take a leap into the unknown and make the trip to see if being with Colin again will help get the creative flow going. When Maren arrives in Maple Valley she's met by several surprises. Colin isn't there, and in fact his family hasn't seen or heard from him in quite some time. Not since he and his brother Drew fought over the future of the farm. Their niece is a huge fan of her work and insists that Maren stay and write anyway, so she settles in for a couple weeks to see what happens. Drew Renwycke can't believe that this author showed up looking for Colin after one date a year ago, but then Colin has always been smooth with the ladies. Drew wants to get back to his family roots, to carry on the tradition of farming that has been in his family for generations. He'd love to see Colin home for Christmas, but that isn't likely with the way they parted. However, for his sake as well as Maren's, he decides to reach out and see what happens. This is a very sweet novella that includes a fun narrator who likes to pop up and give her opinion every now and then. It gives the story a fun, informal feel even as it deals with big issues like regret, family problems, and dreams for the future. There's also a nice toe-curling romance and enough twists in the plot to keep you guessing. I really enjoyed this little story and it goes well with Melissa Tagg's other Maple Valley stories. If you haven't started reading Melissa Tagg yet, you should - she's a delightful writer. 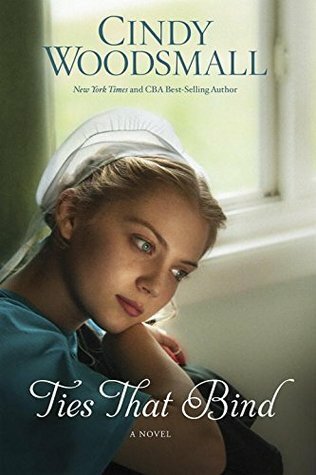 The year is 1865 and nurse Abigail Stuart has no home waiting to welcome her after the War Between the States. When a dying man asks her to marry him and care for his mother and sister in the Missouri Ozarks, Abigail is hoping she can find a new place to belong. She arrives as Jeremiah Calhoun's widow and throws herself into rebuilding the farm, using her personal funds to pay for breeding the fine mare Captain Calhoun left behind. She builds relationships with Ma and the cantankerous chronically ill sister Rachel. 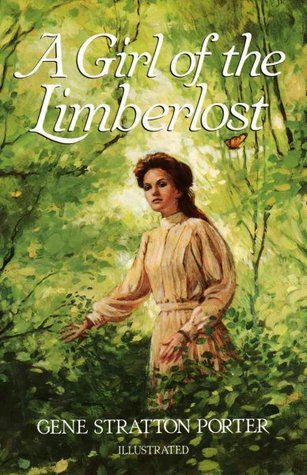 When Jeremiah Calhoun arrives home very much alive and not the man she married, he accuses Abigail of trying to steal his property. The dream of returning home and marrying his sweetheart Laurel has kept him alive through years of war and the pain of an awful wound. How is he supposed to resume courting Laurel with a woman who claims to be his wife hanging around? Abigail is adamant that she will not leave until the new foal is born, since that was her personal investment in the farm, and Jeremiah reluctantly agrees because he can see that Abigail has been good for his family. Abigail offers to help Jeremiah with his continued recovery from his war wound, and her physical therapy completely restores his leg's range of motion. As the months rolls by Abigail comes face to face with parts of her past, and outlaws threaten the community. Meanwhile their inconvenient marriage continues to foil Jeremiah's plans with Laurel, but is he finds he may not be in such a rush to pursue his old flame after all. I enjoyed this story, but found the development of the relationship between the characters rather unrealistic. The leap between the initial antagonism and supposedly falling madly in love was too fast and unbelievable for me. It is always fun to read stories set around where I live, though, and I am looking forward to the second novel in this series. I have to admit that I was skeptical when I first heard about this book. I love Jane Austen and I love Jesus, but do we really need to try to pair the two in a devotional? Then my sister gave me the book, not knowing of my rather negative preconceptions towards it, and I decided that it wouldn't hurt to read a little of it. Imagine my surprise when I discovered that this is actually a little treasure which would make a perfect gift for any Austen fan! 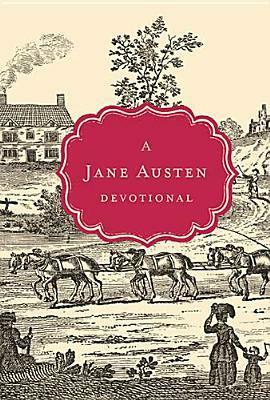 Each two-page devotional features a text from one of Austen's six major novels, followed by thoughts on how we can apply a spiritual theme in our lives. It wraps up with a related Bible verse. While it in no way would take the place or real daily Bible reading or study, I found many good thought-provoking nuggets, such as relating Elizabeth Bennet's keeping of Wickham's secrets to the detriment of her family an example of not speaking the truth in love - that often truth is needed and appropriate! The author challenges you in how you relate to the Lucy Steeles in your life - the ones who seem only out to make your life miserable. She also frequently reminds readers to ask the Lord to reveal our own shortcomings and develop self-discipline as we seek to follow Him. "not unamused" and "not amused" as the same thing, when in fact they are quite the opposite! "When you foster haughtiness in your heart, you are cheating only yourself - of genuine happiness." "Today, the Gothic novel has been replaced by a combination of television, movies, music, romance novels, and a thousand other forms of entertainment that, given control in our lives, distract us from growing into mature Christians who can set an example for others." "A woman who trusts in the Lord for the outcome can laugh freely because she knows that the future is in His hands. No matter what happens, God can be trusted. ...Our happiness is not measured by our circumstances. It is anchored in Him." "So pursue holiness to the glory of God, allow your heart to be dominated by Jesus' love, and imitate Him to become like Him." Rapunzel is one of my favorite fairy tale characters, so I couldn't have been more excited when I heard that a Rapunzel retelling was going to be coming from Melanie Dickerson. I've looked forward to this release for months! Our story begins with Rapunzel and Mother Gothel moving to the town of Hagenheim, which has also been the setting for many of Dickerson's other books. Mother Gothel has always been severe with Rapunzel, keeping her under close watch and restricting what she may wear and how she may interact with others. Rapunzel is hungry to learn everything she can and desperately desires to learn how to read. She hopes that moving into a larger town will give her opportunity to meet someone who will teach her. Sir Gerek is on his way home to Hagenheim when he comes across a robbery in progress and is able to help an unusual young woman and her controlling parent. Mother Gothel's gruffness sets Sir Gerek on edge, and traveling with the women proves quite challenging. When Gerek's horse tosses him and he's forced into several weeks of recuperation at a monastery, he reluctantly agrees to giving Rapunzel reading lessons. Over the next few weeks as Rapunzel gets to know Gerek and makes other friends, she realizes just how wrong her situation is, that her mother's strictness is unnatural and unhealthy. With the help of her new friends, Rapunzel is able to slip away from her mother and take a position as a maidservant in Hagenheim castle. Things really pick up when Rapunzel's true identity is discovered, but before she can reconnect with her birth parents the castle comes under siege. Mother Gothel takes advantage of the chaos and kidnaps Rapunzel, forcing her into isolation in a tower far away from Hagenheim. Will Gerek be able to rescue her? Will she ever have the chance to reunite with the loving family from whom Mother Gothel stole her? I loved the journey that both Gerek and Rapunzel go on throughout the book. Gerek has a past full of hurt and has determined to protect himself in order not to become like those who caused him pain. He has decided to marry a wealthy woman to prove his worth. Rapunzel's inner strength balanced with gentleness causes him to reevaluate his goals. Rapunzel has survived a lifetime without any kind of real love, but she warmly responds when she is able to learn about God's love for her, and forgiveness and hope mark her life. Hope that all that has been stolen can be restored. The message that we can choose restoration, hope, and love no matter the pain we've known in the past was beautifully brought out - and so needed in our world today. Some of the events of this book are concurrent with Dickerson's novel The Princess Spy, which is another I'd highly recommend. You pretty much can't go wrong with any book from this author! I received my copy of the book from LitFuse Publicity in exchange for this honest review. All opinions are my own. 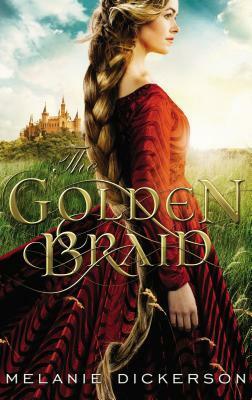 If you would like to read what other people are saying about "The Golden Braid," click here. What would you tell your younger self if you could travel back in time and change your biggest regrets? In this new release by James L. Rubart, main character Brock Matthews gets that chance. Brock is experimenting with lucid dreaming when he realizes that each encounter with himself in his dreams has changed his reality. Sometimes for the better, but sometimes his choices have far-reaching negative consequences. Brock's biggest regrets are never bridging the gap in his relationship with his father, allowing competitive natures to come between himself and his brother even though they own a business together, and failing to cherish his wife and help her pursue her dreams. In the present his business is failing and his wife wants a separation. Is it possible he can change these things by convincing his younger self to make different choices? This is an intriguing story with shades of "It's a Wonderful Life" woven in. The plot is constantly changing, as Brock's dreams affect everything from where he lives, to the woman he is married to, even to what he does for a living. It's quite a ride, and Brock often feels like he's flying blind, awaking to a new reality almost every day. He believes that these dreams are a gift from God to allow healing from this past and give him a second chance in the present, but what about when the changes he's made bring destruction to everyone around him? Maybe the key to living well in the present isn't about changing the past after all. Several years ago I started a tradition during the Summer Olympic Games of writing a letter to the woman I was during the previous Summer Games. I've already been thinking about the upcoming Rio Olympics and the letter I want to write to the me who watched the 2012 Games in London. Of course I know that writing the letter doesn't change anything, but it is a nice way to think about each four-year period and what I've learned, how I've grown, and things that have changed. In some ways it allows me to release pain that has accrued and accept life as it is. Since "interacting" with myself in the past is something I already do, that made this novel that much more enjoyable and touching. I received my copy of the book from LitFuse Publicity in exchange for this honest review. All opinions are my own. 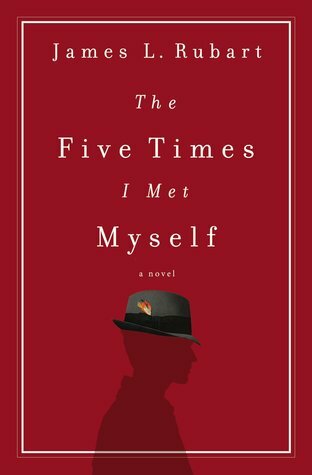 If you would like to read what other people are saying about "The Five Times I Met Myself," click here. In 1870 acting was not considered a proper form of employment for women, but India Hartley was raised in the theatre by her father. Famous but now alone after her father's death, India's tour of the southern states is cut short when the leading man in her play dies on stage - and India is arrested for his murder! A kind patron pays for handsome attorney Philip Sinclair to take on India's case, and Philip is kind enough to take India out of the spotlight in Savannah and to his family's home on St. Simons Island. India is thankful for every breath of free air, but is met with suspicion and condescension everywhere she goes. 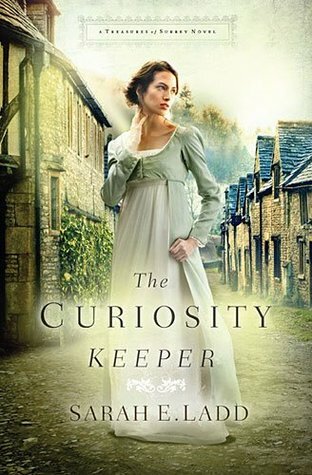 She soon discovers that Philip's home is not without secrets and mysteries of its own - and somehow they may connect back to her own impending trial! This book caught my attention because a 19th century murder investigation sounded like interesting reading material. Sure enough, everything is much different than what you would see today. I felt like the book was very historically accurate and highlighted issues that Georgia faced in the Reconstruction Era. Even though the story was centered around a mystery and had moments of suspenseful tension, the plot seemed more character-driven or even pastoral. I'm not a huge fan of suspense so it was a nice balance for me, making this quite an enjoyable read. I received my copy of the book from LitFuse Publicity in exchange for this honest review. All opinions are my own. 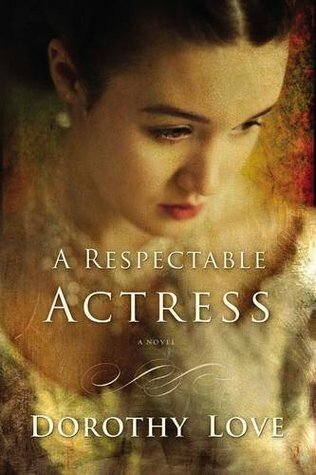 If you would like to read what other people are saying about "A Respectable Actress," click here. 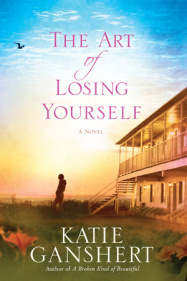 Romance writer Kate Walker is beginning to feel like her life is going nowhere. She needs a spark. She's still getting over her own bad romance five years ago, and churning out stories with happy endings she's no longer sure she believes in. When her Iowa hometown is hit hard by a tornado, Kate takes a few weeks off work to help her family and friends with their rebuilding projects. Colton Greene's NFL career came to a halt with one bad play, and now he's floundering to know what to do with his life. He's under contract for a book about his upbringing, but he's hesitant to write because of his painful experiences growing up in the foster system and the memory block from the night his parents died. Deciding to tag along with his friend Logan on a trip to Iowa, Colton sees a real community in action in Maple Valley, and throws himself into helping the town recover. He also finds Logan's sister Kate charmingly reserved and equal to the task of helping him with his autobiography. 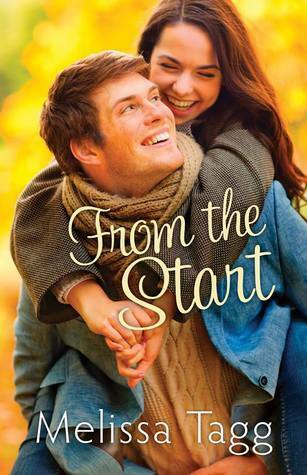 Knowing absolutely nothing about football, Kate knows writing with Colton is her chance to turn her life around. 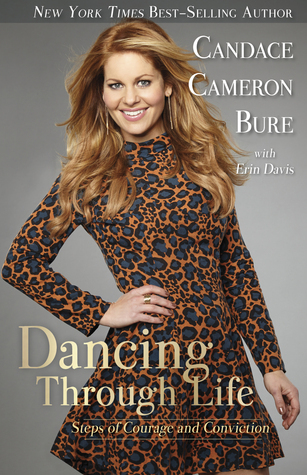 With the proceeds from this book she could finally get involved in her mother's foundation in Africa the way she's been longing to do. 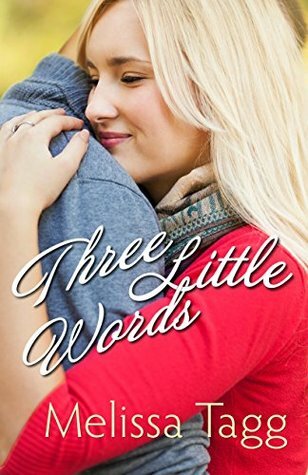 Colton's big personality begins making its way around the walls Kate has so carefully constructed, and soon hope for more than her writing career begins to blossom in her heart. With opportunities being presented all around him, Colton feels restless. His agent is pushing him to go into sports broadcasting, but Colton knows that is not going to be a fit with his anxiety in front of cameras. Coaching doesn't call to him, either. But a Maple Valley teenager, gifted in football and also being raised by a foster family, tugs Colton's heart in ways he can't explain. He also begins to grow increasingly uneasy about finishing and releasing the book with Kate, but will she understand the new direction his life is taking? Can he find peace with his past and a purpose for the future? I really enjoy Melissa Tagg's stories. She has an informal, relatable writing style that makes you feel like you're talking with your best friend while you fly through the pages. I'd recommend her books for anyone who likes clean contemporary stories which draw you in and make you forget about things like sleep while you're in the middle of them. Jim Burns and Jeremy Lee have a sincere desire to help parents find practical, intentional ways to promote faith and faithfulness in their children. As they say on page 139, "Parenting does not have to be about survival." 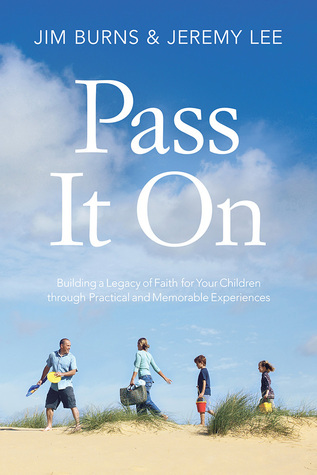 With wisdom and experience that comes from raising their own children and shepherding other parents along the way, these authors share specific things you can do with your child for every year they are in school to point the way towards developing a personal faith of their own. Using Biblical-based themes of ceremonies and symbols, Burns and Lee believe that kindergarten is a good age to get started on the various rites of passage which they lay out. "Your child may only be in kindergarten," they posit in Chapter 1, "but he was created to make a difference in the world around him." Beginning with lessons about generosity and responsibility, each year's themes grow to include topics like identity, friendship, and finances. Each chapter not only talks about the age-appropriate rite of passage, but also spells out what to expect from your child physically, emotionally, relationally, and spiritually at each grade level. The chapters are fairly brief and very easy to read, and they leave lots of room for you to incorporate their suggestions according to the unique needs of your child and family, as well as the leading of the Holy Spirit. I liked the encouragement on page 66 to "...strive to parent in such a way that will cause the 35-year-old version of your child to say, 'Thank you.'" Other highlights included the focus on intentionally making memories as a family, and talking about how to help your child discover who they want to be rather than what they want to do when they grow up. Those are such good points! I am not a parent, but I take seriously my role to influence young people as a sister, aunt, teacher, and friend. I feel like this book would be an excellent resource for parents, as it is full of good ideas and information. I know no parent desires for their children to fall away from the faith, but true relational parenting is not seen much these days. By exhorting parents to take full responsibility of passing on their faith to their children, Burns and Lee set the pattern for you to have a home where love and communication reign. Every childhood and adolescence is bound to have some turbulent times, but a solid foundation can go a long way toward surviving it with grace. I received my copy of the book from LitFuse Publicity in exchange for this honest review. All opinions are my own. If you would like to read what other people are saying about "Pass It On," click here. Last year Kara Tippetts wrote an amazing book, "The Hardest Peace," which shared beautiful truths about living a life of grace in the midst of hard realities. Her diagnosis with cancer completely changed her life, but what a gift she gave the world as she shared how Jesus walked beside her. Kara lost her battle with cancer in March of this year, but before her death she was able to coauthor this book about relationships with her friend Jill. From their own personal experience, Kara and Jill share about how to help our brothers and sisters in Christ as they walk through intense seasons of suffering. This is a wonderful resource for those who are wanting to come alongside someone in the midst of a deep trial. 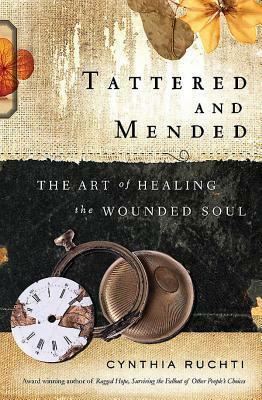 As Kara says, "Life can be numbing when the story is flailing along in suffering" (page 10). Those in the hard time desperately need community to help them, but so often we don't know how to offer our support or even what to say at all. That's where "Just Show Up" can help us out, with practical advice and examples of things that worked as well as things that didn't. Jill is vulnerable to share about some of her biggest 'foot in mouth' moments, letting readers know they aren't alone in feelings of inadequacy. I really liked how these friends shared openly about the spiritual component of walking through suffering together. It changes both the person in the trial and the one called to support them. Both must look to God and lean upon Him. As they say on page 93, "Walking with someone through suffering is going to stretch your faith. You may have to give up pieces of your faith, assumptions you may have grown up with or cultural ideas as to how faith is supposed to work. Remember, stay soft." Not everyone is going to be open to having their perceptions changed, but no one's lives or trials are of the cookie-cutter variety. Each one is unique, and in each one Jesus will be there. Something that may be even harder than showing up for a friend is when the friend must show up for herself - and that comes by asking and receiving help. Independence may be highly valued, but God designed us for loving community. It's a brave kind of willingness to open your arms and let other people into your suffering. Learning to let others love you through tangible actions brings new beauty and grace to a situation. While I felt like this book was mostly for those who are dealing with very specific kinds of trials, I think there is a wealth of wisdom for those who have a heart for walking with others. Learning to give and receive, to balance relationships with personal responsibilities, and how to extend grace towards others are all authentically modeled within these pages. The Body of Christ would find much strength if we all walked with each other in such a way! I received my copy of the book from LitFuse Publicity in exchange for this honest review. All opinions are my own. 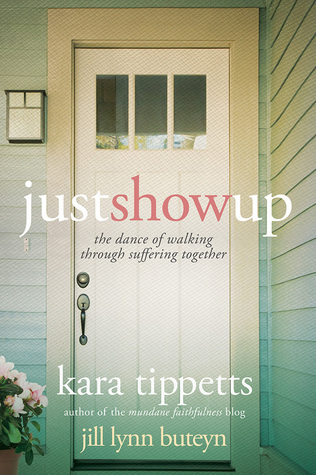 If you would like to read what other people are saying about "Just Show Up," click here. It's World War II meets "You've Got Mail" and "The Shop Around the Corner" in this tale of anonymous correspondents falling in love. I enjoyed this book so much I couldn't put it down, reading the final half in one sitting. That doesn't happen often these days! Mellie Blake was raised in the Philippines by her American father, who was very concerned about raising Mellie up to be a proper lady after her Filipina mother left them. Too American to fit in completely with the local girls, and too Filipino to fit in when visiting America, Mellie has always struggled with making friends and being comfortable in her own skin. When she has the opportunity to become one of the pioneering flight nurses in the newly-formed division of the Army Air Force, Mellie hopes this is her calling. But her inability to form a connection with the other nurses leave her not only frustrated but in danger of losing her job. Fighting for his country in North Africa, Tom MacGilliver is a man who always, always strives to be cheerful and not let his true feelings show through. With his last name made infamous by a father who was tried and executed for murder, Tom wants people to know he's nothing like his father. His desire with his engineering degree is to build bridges that bring people together, and now that he is near the front lines of war he is terrified that he might one day have to take the life of another human being. When his commanding officer arranges for soldiers and nurses to begin anonymous correspondences, Tom realizes this is a needed outlet to reveal his true self to someone who won't judge him based on his name. Unsure about this exercise of writing to an unknown soldier, Mellie quickly realizes that she can build a friendship on paper, where her awkwardness and nontraditional looks won't garner rejection. Soon letters are flying between "Annie" and "Earnest," each seeking help and guidance from the other about the troubles around them. They find much strength in being able to pour out their hearts, know someone else is praying for them, and point each other to Christ. When Mellie is transferred to North Africa they know there is a chance that they will meet, but they have been so careful to conceal their identity that they may never know it if they do. Enough information has slipped through that Mellie knows she's met her Earnest the first time she crosses paths with Tom. Getting to know him in person only solidifies the love she's grown to have for him, but he still doesn't know who she is. Feeling like he would only be disappointed if he realized that Annie and Mellie were the same person, but unable to completely give up their letters because they mean so much to her, Mellie must walk a difficult line between being there for Earnest and protecting herself from Tom. Everyone who has struggled with insecurity will be able to connect with Tom and Mellie. The romantic in you will cheer for their relationship, and the history buff will enjoy the twist of a WWII story not set in Europe. 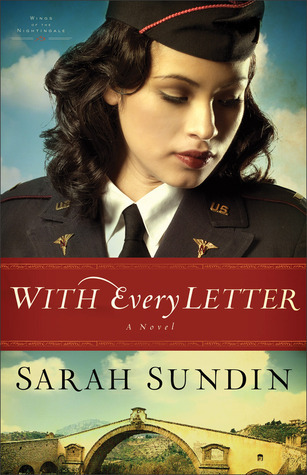 I have loved every novel by Sarah Sundin that I have read, and I hope to read many more. "With Every Letter" is currently free on Kindle, so I hope you check it out if this sounds like something you would enjoy. I don't think you will be disappointed! World War II and the present day collide in an intriguing way in this new novel by Rick Barry. Our story opens in 1943, when fighter pilot Roger Greene is shot down while flying a mission over Germany. Against his will, Roger becomes part of a Nazi scientific experiment - an experiment that leaves his body functioning at a higher rate than ever seen before. With his cells able to rapidly regenerate, Roger stops aging and is a medical marvel. Even as the doctors overseeing the project grow old and die, Roger remains a youthful prisoner trapped in an underground bunker. The story alternates between Roger's decades in captivity and a contemporary plot involving Katherine Mueller, a young woman whose rich uncle is pressuring her to become part of a secret organization which exists to make the world a better place. Even as Katherine goes through the training to advance in the Heritage Organization, she doesn't understand what exactly this group is all about. Why is everything so secret? Surely her uncle - whom she loves even if he is eccentric and controlling - couldn't be involved in anything that would be alarming. She just needs to trust him and trust the HO. The excitement keeps building as you know Roger is going to get out of that bunker eventually, whether by release or escape, and cross paths with Katherine. In a world that has vastly changed over the past 70 years, you wonder how Roger will be able to adapt and if anyone will possibly believe his crazy story. The pace moves quickly and tension is high as the twists and turns unfold. There was so much to enjoy with this book! I liked the way the plot was split between the past and the present, and felt like the tale of Roger's captivity was very realistic, his faith touching as he learned to take comfort in God alone. The mix of history, action, and speculative science was pleasant to my reading palate, and I had no idea how the book would end until the final pages. This is one I'd definitely recommend! I received my copy of the book from LitFuse Publicity in exchange for this honest review. All opinions are my own. 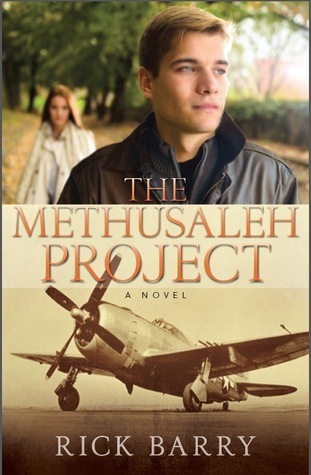 If you would like to read what other people are saying about "The Methuselah Project," click here. This book is a great guide for any woman - young or old - who wants to start living intentionally. Author Valerie Woerner caught my attention as early as page 3, when she said: "Our lives should be radically different because of Christ who lives in us. Too often they don't look different. And that's not God's fault. That's our laziness." Oh man. That's some good stuff right there! Valerie freely admits that she's on this journey to intentional living just as much as the rest of us. She doesn't have it all figured out. She's willing to share what she's learning, both the successes and the failures, if it means that others can join in and see God do wonderful things in our ordinary, everyday lives. This slim volume is packed with 22 areas in which we can let God work in us. Each chapter can be read in about 15 minutes, and I'd highly recommend either printing out the worksheet pages that go with each one, which the author makes available for free on her website, or buy the workbook which has the worksheets all ready to go for you. Due to the time constraints of reading this book before my spot on the tour came around, I was only able to look at a few of the worksheets, but sometime I'd like to go back and work through them all. I believe they would help these truths sink in and make them personal for the reader. It would be hard to pick a favorite chapter because there were so many good ones! The one that was most personally challenging to me was on the topic of Awareness. I already work in the ministry as a teacher at a Christian school, help raise my siblings, am active at church, have deep meaningful friendships, and work hard to take care of myself physically - it's really easy to just want to stay in my lane and not practice awareness on what is going on in the world. May God give me wisdom on how to use this character quality in my life! 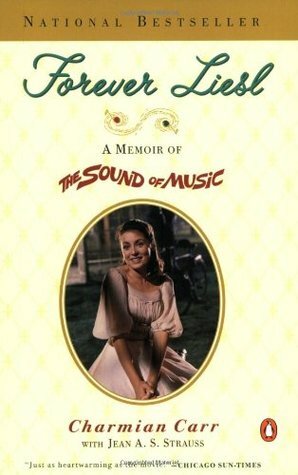 I could see this book having the impact on young women which Elizabeth George's books have had on me. This would be a great graduation gift or would work well for a young women's Bible study group. If you desire to live fully, this could be a great resource for you. Don't let it stay as a desire. "Truly, what we do in the difficult moments is what separates dreamers and doers. The people who live a beautiful, intentional life didn't just have it easy. They made choices when it was hard, and it built their character and refined them." (page 59) Let's make that a true statement about us as well. I received my copy of the book from LitFuse Publicity in exchange for this honest review. All opinions are my own. 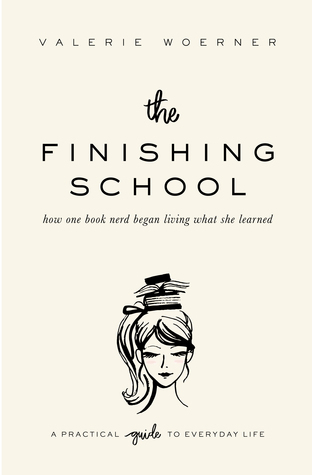 If you would like to read what other people are saying about "The Finishing School," click here. A highlight of the Victorian Era was the Great Exhibition, which was planned and organized by Prince Albert. I was delighted when I saw that Kaye Dacus had written a two-book series focusing on this milestone event. The first book features on a brother and sister from Philadelphia who journey to London in order to live with their British relatives long enough to marry rich spouses. Christopher and Kate Dearing are disappointed when their father reveals that his bad choices have cost the family their fortune, and now they must be the ones to sacrifice in order to secure their own futures, as well as the wellbeing and comfort of their stepmother and stepsisters. Their uncle, Lord Anthony, is welcoming and willing to assist by introducing them to his social circle. Two of their cousins are also friendly and cheerful, but oldest cousin Edith sees Kate as a rival for her own matrimonial pursuits. Kate has a hard time fighting against bitterness for her new circumstances. She wants to marry for love but now must put all her efforts into catching the eye of a wealthy suitor. Her real passion is plants and gardens, and her enjoyment of her uncle's grounds is enhanced by getting to know the landscape architect who has been hired to redesign the estate. Even knowing a future with Andrew is impossible, Kate feels a great attraction towards him. Immediately upon their arrival Christopher's attention was caught by Nora, his youngest cousin's governess. While Christopher has more freedom that Kate because of his education and capacity to find employment, he still doesn't want to leave the whole burden of supporting their family on her shoulders. Pursuing his employment opportunities allows Christopher to spend some time in London before the Great Exhibition opens, getting an inside view of the building of the Crystal Palace. This story was highly character driven, and it took me several weeks to read even though I enjoyed it. I would have appreciated more scenes actually set at the Great Exhibition, but maybe they will be included in the second book. 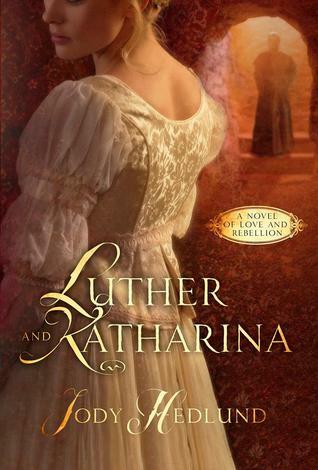 I'd recommend this for readers who enjoy stories set in the Victorian Era.